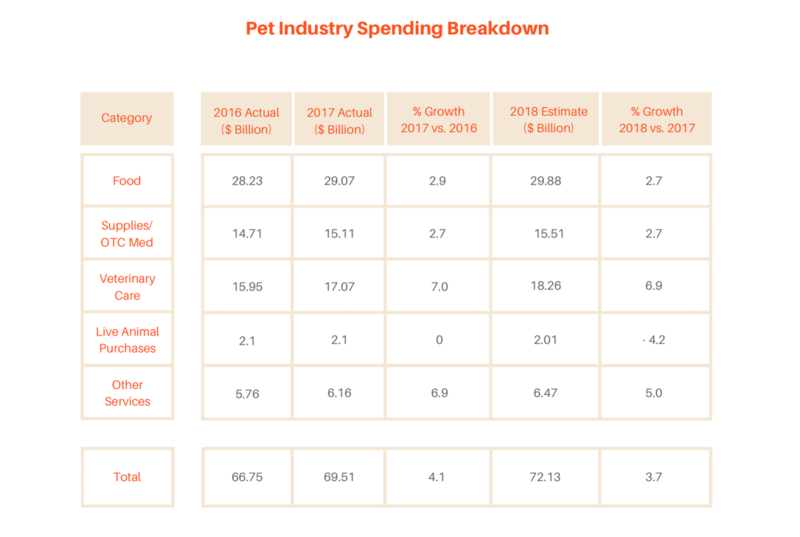 These numbers come from the American Pet Products Association, the leading trade association serving the interests of the pet products industry since 1958. The survey was split in two: 22,202 respondents completed a screener and questionnaire (of which 12,581 were current pet owners) and 2,559 completed pet owner surveys. The survey found that the humanization of pets still is a driving factor for the pet industry and that pet owners are feeding their pets as they do themselves, turning to more grain-free and organic options and giving their pets vitamins and other supplements. Pets have become such an essential part of our lives that petitioners are beginning to ask judges to consider “the animal’s best interest” in divorce cases – an approach that was previously reserved for children. In one example, a Californian woman reportedly spent $146,000 on her divorce case, which centered around a bid for custody of Gigi, her pointer-greyhound mix. Statistics also show that dog owners under 30 years are more likely to buy premium dog food than those in other age groups – despite having less income. Millennials are also more likely to bring their pets to the vet more often and give them vitamins. This is a trend that pet food providers need to take into account, as millennials and dog owners under 30 years are the future. Choosing premium ingredients in pet food can give you a brand and marketing advantage. The same survey shows that dog owners tend to use vitamins and supplements equally, while cat owners lean more toward vitamins only. In 2016, 12% of pet owners gave their pets food with added vitamins or minerals (such as calcium or vitamin E). This opens up a new opportunity to market pet supplements that are essential to maintaining the pet’s good health. Especially omega-3s are vital for our furry friends, seeing as pet’s bodies are unable to produce omega-3s naturally. Many commercial pet diets are rich in omega-6; however, the recommended ratio between omega-6 and omega-3s are not always achieved. This again often leads to low omega-3 levels among pets, which can cause many problems, such as cardiovascular problems, allergies, brain development, bone & joint functions and dry and itchy fur and skin. 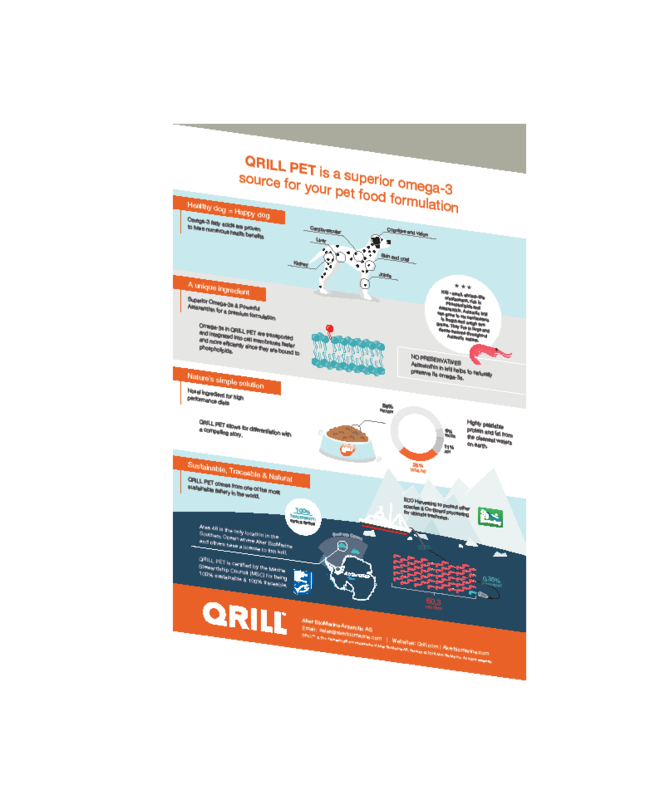 Selling pet food containing the right balance of omega-3 and omega-6 can, therefore, be a competitive advantage in the pet food industry.